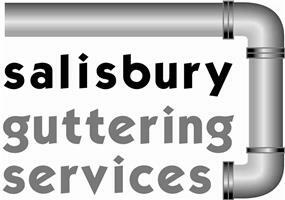 Salisbury Guttering Services Limited - Cleaning Services, Fascia/Soffits/Guttering based in Fovant, Wiltshire. Invoice history based on 365 reviews. Have a problem with your gutters? Leaking? Full of moss or need a clean, or even time to replace. Repair leaks and overflows, moss and leaves removed from gutters allowing them to cope with the British weather! We also have a telescopic vacuum which hoovers the moss away to the height of 48 ft (15 metres) and all observed using our inspection camera to ensure all is removed. Clean those green, gutters, fascia’s and soffits and bring back to their former glory, we have telescopic pressure washers so doesn’t matter if the conservatory is in the way. Pressure wash that slippy patio, path or drive. Specialised industrial patio cleaner used (not a B&Q pressure washer in sight!!) Patios can be re-sanded if required. Blocked drain? we also have hi-pressure jetting equipment. All roofing repairs including flat roof installations. Aluminium gutter repairs and installs. Cleaning of wall cladding and signage. We have a cherry picker for an alternative to scaffold. Amesbury, Andover, Blandford, Bournemouth, Chippenham, Devizes, Eastleigh, Ferndown, Gillingham, Marlborough, Melksham, Poole, Ringwood, Romsey, Salisbury, Shaftesbury, Southampton, Trowbridge, Verwood, Warminster, West Moors, Wimborne and Winchester. We have full public liabilities insurance to the value of £5,000,000 which can be presented if requested. Please call or email for a non-obligation free quote.